Do you have a CREATIVE SKILL or TALENT you would like to share? Volunteer as a presenter at Creative Techniques or Studio Central Café! Studio Central offers programs daily, running from Tuesday to Friday. activity-based presentations by alumni artists on various techniques and mediums including; drawing, painting, sculpture, fabric arts, photography and others. 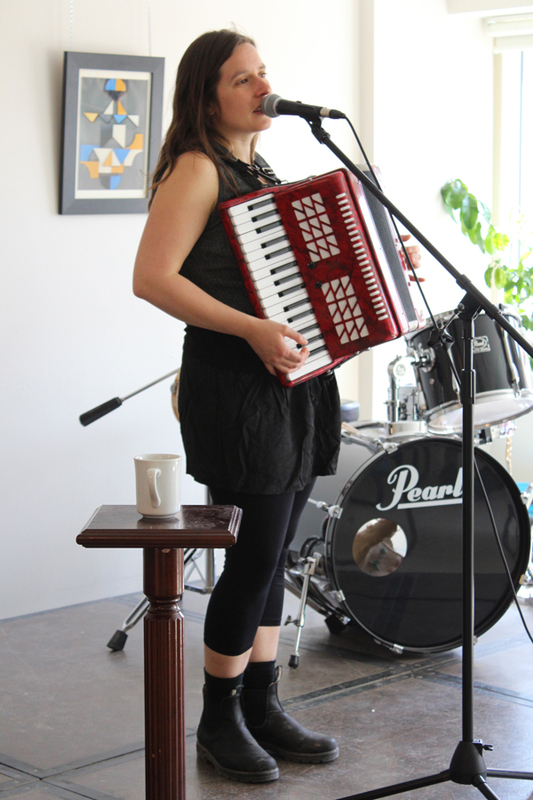 coffee and performance by alumni and local musicians, singer-songwriters, poets and actors. To inquire about volunteering at creative techniques or performing at studio central café, write us at studiocentral@artbeatstudio.ca or call 1(204)943.8290. You can see what’s on the schedule by viewing the Events Calendar or downloading the Studio Central Bulletin! Read more about volunteering at Studio Central!